Colonel J A Johnson, 9th Alabama Infantry, resigned on (?) June, 1861, and was ordered to Limestone County, Alabama, on 8 July, 1861. Captain C M Wilcox, artillery, Confederate States Army, was appointed colonel, 9th Alabama Infantry, at Richmond, Henrico County, Virginia, on 13 July, 1861, dated 9 July, 1861. Captain S Henry, 9th Alabama Infantry, Company K, was appointed lieutenant colonel, 9th Alabma Infantry, at Richmond, Henrico County, Virginia, on 5 July, 1861, dated 3 July, 1861. 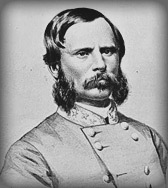 Captain E A O'Neal, 9th Alabama Infantry, Company I, was appointed major, 9th Alabma Infantry, at Richmond, Henrico County, Virginia, on 26 June, 1861. The company was accepted in Confederate service at Mobile, Mobile County, Alabama, on 18 May, 1861, and was stationed at Richmond, Henrico County, Virginia, on 8 June, 1861. The company was organised in the vicinity of Guntersville, Marshall County, Alabama, on 8 April, 1861, and was accepted in Confederate service at Guntersville, on the Tennessee & Coosa Railroad, Marshall County, Alabama, on 23 May, 1861. The company was ordered to Richmond, Henrico County, Virginia, by Special Orders No.57, Paragraph I, Adjutant & Inspectors General's Office, Montgomery, Montgomery County, Alabama, the same day and was stationed at Richmond, Henrico County, Virginia, on 2 June, 1861. The company was accepted in Confederate service at Hillsboro, Lawrence County, Alabama, on 24 May, 1861, and was stationed at Richmond, Henrico County, Virginia, on 4 June, 1861. The company was accepted in Confederate service at Bluff Creek, Lauderdale County, Alabama, on 27 May, 1861, and was ordered to proceed by the Memphis & Charleston Railroad to Richmond, Henrico County, Virginia, on 3 June, 1861. The company arrived by the Richmond & Danville Railroad at Richmond, Henrico County, Virginia, at 12 AM on 8 June, 1861, and Captain D Houston's, 9th Alabama Infantry, Company D, resignation was accepted by Special Orders No.137, Paragraph V, Adjutant & Inspectors General's Office, Richmond, Henrico County, Virginia, on 29 August, 1861. The company was accepted in Confederate service at Decatur, Morgan and Limestone Counties, Alabama, on 5 June, 1861, and was stationed at Richmond, Henrico County, Virginia, on 10 June, 1861. The company was accepted in Confederate service at Clem's Springs, six and a half miles northeast of Athens, Limestone County, Alabama, on 3 June, 1861, and was ordered to Athens, Limestone County, Alabama, in the morning on 6 June, 1861. The company was ordered to proceed by Memphis & Charleston Railroad to Richmond, Henrico County, Virginia, at 11.30 AM the same day and was stationed at Chattanooga, Hamilton County, Tennessee, on 7 June, 1861. The company arrived by the East Tennessee & Georgia Railroad at Knoxville, Knox County, Tennessee, on 8 June, 1861, and by the Virginia & Tennessee Railroad at Lynchburg, Campbell County, Virginia, at 11 AM on 10 June, 1861. The company was ordered to proceed by the Southside Railroad to Richmond, Henrico County, Virginia, the same day and arrived by the Richmond & Danville Railroad at Richmond, Henrico County, Virginia, on 11 June, 1861. The company was accepted in Confederate service at Greenville, Butler County, Alabama, on 6 June, 1861, and was stationed at Camp Reservoir, on the James River, east of the Reservoir or Water Works and Hollywood Cemetery, Oregon Hill, Richmond, Henrico County, Virginia, on 19 June, 1861. The company was accepted in Confederate service at Athens, Limestone County, Alabama, on 10 June, 1861, and was ordered to proceed by the Memphis & Charleston Railroad to Richmond, Henrico County, Virginia, on 13 June, 1861. The company was mustered in Confederate service for the war at Camp Davis, a quarter of a mile southwest of College Hill, Lynchburg, Campbell County, Virginia, by Major & Assistant Adjutant General H L Clay, Confederate States Army, on 16 June, 1861, dated 18 June, 1861, and arrived by the Richmond & Danville Railroad at Camp Reservoir, on the James River, east of the Reservoir or Water Works and Hollywood Cemetery, Oregon Hill, Richmond, Henrico County, Virginia, in the evening on 19 June, 1861. The company was accepted in Confederate service at Centre Star, Lauderdale County, Alabama, under the command of Captain E A O'Neal, on 1 June, 1861, dated 3 June, 1861, and was ordered to proceed by the Memphis & Charleston Railroad to Richmond, Henrico County, Virginia, on 4 June, 1861. The company was mustered in Confederate service for the war at Camp Davis, a quarter of a mile southwest of College Hill, Lynchburg, Campbell County, Virginia, by Major & Assistant Adjutant General H L Clay, Confederate States Army, on 18 June, 1861, and was stationed at Camp Reservoir, on the James River, east of the Reservoir or Water Works and Hollywood Cemetery, Oregon Hill, Richmond, Henrico County, Virginia, on 24 June, 1861. Captain E A O'Neal and First Lieutenant D W Gillis, 9th Alabama Infantry, Company I, were appointed major, 9th Alabama Infantry, and captain, 9th Alabama Infantry, Company I, respectively, at Richmond, Henrico County, Virginia, on 26 June, 1861. The company was organised at Guntersville, Marshall County, Alabama, on 25 April, 1861, and was accepted in Confederate service, under the command of Captain S I Henry, on 19 May, 1861. The company was ordered to Richmond, Henrico County, Virginia, by Special Orders No.57, Paragraph I, Adjutant & Inspectors General's Office, Montgomery, Montgomery County, Alabama, in the morning on 5 June, 1861, dated 23 May, 1861, and arrived at Gunter's Landing, on the Tennessee River, in the vicinity of Guntersville, Marshall County, Alabama, the same day. The company was ordered to proceed by the steamer Paint Rock on the Tennessee River to Bridgeport, Jackson County, Alabama, on 5 June, 1861, and Captain S I Henry and First Lieutenant J S Sheffield, 9th Alabama Infantry, Company K, were appointed lieutenant colonel, 9th Alabma Infantry, and captain, 9th Alabama Infantry, Company K, respectively, at Richmond, Henrico County, Virginia, on 3 July, 1861. "The Lauderdale Rifles left North Alabama last Monday with the hope and desire of reaching Richmond in three days, but owing to delays caused by trains running off the track, were not allowed to reach your beautiful city until ast night about 12 o'clock." "The brigade that I subsequently commanded was organised in the valley near Winchester, as the different regiments reported their arrival, the 9th Alabama being the last regiment assigned to it. It was composed at first as follows: 9th Alabama, 10th Alabama, 11th Alabama, 19th Mississippi and the 38th Virginia - five - regiments. E K Smith, or Edmund Kirby Smith was the first brigade commander." "General Johnston left on the evening of the 20th with a force of two or three regiments, leaving General Smith to expidate the remainder, more than half his army. General Smith left next, leaving myself to forward or bring up the remainder; but Colonel Forney ranked me, on the list, our brigade and others did not reach Manassas Junction until daylight the 22nd, day after the battle." "The 9th encamped on high ground near Young's Branch that ran into Bull Run near Stone Bridge (Warrenton Turnpike)." The 9th Alabama Infantry was ordered to rendezvous at Richmond, Henrico County, Virginia, on 3 June, 1861, and was organised by Special Orders No.76, Paragraph II, Adjutant & Inspectors General's Office, Richmond, Henrico County, Virginia, on 20 June, 1861. Note: The 9th Alabama Infantry, Company A, was accepted in Confederate service on 18 May, 1861; Company B on 23 May, 1861; Company C on 24 May, 1861; Company D on 27 May, 1861; Company K on 19 June, 1861; Company I on 1 June, 1861, dated 3 June, 1861; Company F on 3 June, 1861; Company E on 5 June, 1861; Company G on 6 June, 1861; and Company H on 10 June, 1861. Guntersville, Marshall County, Alabama, to Richmond, Henrico County, Virginia, Company B, 23 May, 1861: The Railroad Guards was ordered to Richmond, Henrico County, Virginia, by Special Orders No.57, Paragraph I, Adjutant & Inspectors General's Office, Montgomery, Montgomery County, Alabama, on 23 May, 1861. Note: The 9th Alabama Infantry (82), Company B, was stationed at Richmond, Henrico County, Virginia, between 2 and 6 June, 1861, and (85) between 17 and 21 June, 1861, and at Camp Reservoir, on the James River, east of the Reservoir or Water Works and Hollywood Cemetery, Oregon Hill, Richmond, Henrico County, Virginia, between 22 and 26 June, 1861, and (88) between 1 and 5 July, 1861. Bluff Creek, Lauderdale County, Alabama, to Richmond, Henrico County, Virginia, Company D, 3-8 June, 1861: The Lauderdale Rifles was ordered to proceed by the Memphis & Charleston Railroad to Richmond, Henrico County, Virginia, on 3 June, 1861, and arrived by the Richmond & Danville Railroad at Richmond, Henrico County, Virginia, at 12 AM on 8 June, 1861. Note: The 9th Alabama Infantry (91), Company D, was stationed at Richmond, Henrico County, Virginia, between 8 and 12 June, 1861, and (92) at Camp Reservoir, on the James River, east of the Reservoir or Water Works and Hollywood Cemetery, Oregon Hill, Richmond, Henrico County, Virginia, between 1 and 4 July, 1861. Richmond, Henrico County, Virginia, Company C, 4 June, 1861: The 9th Alabama Infantry (83/90), Company C, was stationed at Richmond, Henrico County, Virginia, between 4 and 8 June and 11 and 15 June, 1861, and (87/89) at Camp Reservoir, on the James River, east of the Reservoir or Water Works and Hollywood Cemetery, Oregon Hill, Richmond, Henrico County, Virginia, between 16 and 30 June and 10 and 15 July, 1861. Centre Star, Lauderdale County, Alabama, to Richmond, Henrico County, Virginia, Company I, 4 June, 1861: The Calhoun Guards was ordered to proceed by the Memphis & Charleston Railroad to Richmond, Henrico County, Virginia, on 4 June, 1861, and was stationed at Camp Davis, a quarter of a mile southwest of College Hill, Lynchburg, Campbell County, Virginia, on 18 June, 1861. Note: The 9th Alabama Infantry (76), Company I, was stationed at Richmond, Henrico County, Virginia, between 24 and 30 June, 1861, and (81) at Camp Reservoir, on the James River, east of the Reservoir or Water Works and Hollywood Cemetery, Oregon Hill, Richmond, Henrico County, Virginia, between 1 and 6 July, 1861. Guntersville, Marshall County, Alabama, to Richmond, Henrico County, Virginia, Company K, 5 June, 1861: The Marshall Boys was ordered to Richmond, Henrico County, Virginia, by Special Orders No.57, Paragraph I, Adjutant & Inspectors General's Office, Montgomery, Montgomery County, Alabama, in the morning on 5 June, 1861, dated 23 May, 1861, and arrived at Gunter's Landing, on the Tennessee River, in the vicinity of Guntersville, Marshall County, Alabama, the same day. The company was ordered to proceed by the steamer Paint Rock on the Tennessee River to Bridgeport, Jackson County, Alabama, on 5 June, 1861. Note: The 9th Alabama Infantry (111), Company K, was stationed at Camp Reservoir, on the James River, east of the Reservoir or Water Works and Hollywood Cemetery, Oregon Hill, Richmond, Henrico County, Virginia, between 6 and 11 July, 1861, and (112) 10 and 15 July, 1861. Athens, Limestone County, Alabama, to Lynchburg, Campbell County, Virginia, Company F, 6-11 June, 1861: The Limestone Troopers was ordered to proceed by Memphis & Charleston Railroad to Richmond, Henrico County, Virginia, at 11.30 AM on 6 June, 1861, and arrived by the Virginia & Tennessee Railroad at Lynchburg, Campbell County, Virginia, at 11 AM on 10 June, 1861. The company was ordered to proceed by the Southside Railroad to Richmond, Henrico County, Virginia, the same day and arrived by the Richmond & Danville Railroad at Richmond, Henrico County, Virginia, on 11 June, 1861. Note: The 11th Alabama Infantry, Company F (100), was stationed at Camp Reservoir, on the James River, east of the Reservoir or Water Works and Hollywood Cemetery, Oregon Hill, Richmond, Henrico County, Virginia, between 1 and 3 July, 1861, and (104) between 6 and 10 July, 1861. Richmond & Camp Reservoir, on the James River, east of the Reservoir or Water Works and Hollywood Cemetery, Oregon Hill, Richmond, Henrico County, Virginia, Company A, 8 June, 1861: The 9th Alabama Infantry (80), Company A, was stationed at Richmond, Henrico County, Virginia, between 8 and 27 June, 1861, and at Camp Reservoir, on the James River, east of the Reservoir or Water Works and Hollywood Cemetery, Oregon Hill, Richmond, Henrico County, Virginia, between 3 and 13 July, 1861. Richmond & Camp Reservoir, on the James River, east of the Reservoir or Water Works and Hollywood Cemetery, Oregon Hill, Richmond, Henrico County, Virginia, Company E, 10 June, 1861: The 9th Alabama Infantry (78/84), Company E, was stationed at Richmond, Henrico County, Virginia, between 10 and 28 June, 1861, and (87) at Camp Reservoir, on the James River, east of the Reservoir or Water Works and Hollywood Cemetery, Oregon Hill, Richmond, Henrico County, Virginia, between 6 and 11 July, 1861. Athens, Limestone County, Alabama, to Richmond, Henrico County, Virginia, Company H, 13-19 June, 1861: The Limestone Greys was ordered to proceed by the Memphis & Charleston Railroad to Richmond, Henrico County, Virginia, on 13 June, 1861, and was stationed at Camp Davis, a quarter of a mile southwest of College Hill, Lynchburg, Campbell County, Virginia, on 16 June, 1861. The company arrived by the Richmond & Danville Railroad at Camp Reservoir, on the James River, east of the Reservoir or Water Works and Hollywood Cemetery, Oregon Hill, Richmond, Henrico County, Virginia, in the evening on 19 June, 1861. Note: The 9th Alabama Infantry (81), Company H, was stationed at Camp Reservoir, on the James River, east of the Reservoir or Water Works and Hollywood Cemetery, Oregon Hill, Richmond, Henrico County, Virginia, on 4 July, 1861. Mustered for the war, Camp Davis, a quarter of a mile southwest of College Hill, Lynchburg, Campbell County, Virginia, Companies H & I, 16 & 18 June, 1861, dated 18 June, 1861: The 9th Alabama Infantry, Company H, was mustered in Confederate service for the war at Camp Davis, a quarter of a mile southwest of College Hill, Lynchburg, Campbell County, Virginia, by Major & Assitant Adjutant General H L Clay, Confederate States Army, on 16 June, 1861, dated 18 June, 1861; Company I for the war on 18 June, 1861. Mustered for the war, Richmond, Henrico County, Virginia, Companies A, B, C, D, E, F, G, & K, 18 June, 1861: The 9th Alabama Infantry, Companies A, B, C, D, E, F, G, and K, were mustered in Confederate service for the war at Richmond, Henrico County, Virginia, on 18 June, 1861. Richmond & Camp Reservoir, on the James River, east of the Reservoir or Water Works and Hollywood Cemetery, Oregon Hill, Richmond, Henrico County, Virginia, Company G, 19 June, 1861: The 9th Alabama Infantry, Company G, was stationed at Richmond, Henrico County, Virginia, on 19 June, 1861, and (89) between 23 and 30 June, 1861. Company G (103/105) was stationed at Camp Reservoir, on the James River, east of the Reservoir or Water Works and Hollywood Cemetery, Oregon Hill, Richmond, Henrico County, Virginia, between 4 and 9 July, 1861. Note: The 9th Alabama Infantry was stationed at Camp Reservoir, on the James River, east of the Reservoir or Water Works and Hollywood Cemetery, Oregon Hill, Richmond, Henrico County, Virginia, on 20 June, 1861. Camp Reservoir, on the James River, east of the Reservoir or Water Works & Hollywood Cemetery, Oregon Hill, Richmond, to Winchester, Frederick County, Virginia, 14-16 July, 1861: The 9th Alabama Infantry was ordered to proceed by the Virginia Central Railroad to Winchester, Frederick County, Virginia, on 14 July, 1861, and arrived by the Manassas Gap Railroad at Strasburg, Shenandoah County, via Manassas Junction, Prince William County, Virginia, in the morning on 16 July, 1861. The regiment arrived by the Valley Turnpike at Red Bud Run, on the Martinsburg Turnpike, one and a half miles north of Winchester, Frederick County, Virginia, the same day. Note: The 9th Alabama Infantry was assigned to the Fifth Brigade, Army of the Shenandoah, under the command of Brigadier General E K Smith, Confederates States Army, at Red Bud Run, on the Martinsburg Turnpike, one and a half miles north of Winchester, Frederick County, Virginia, on 16 July, 1861. The 9th Alabama Infantry was ordered to Manassas Junction, Prince William County, Virginia, by Special Orders No.1, Headquarters, Army of the Shenandoah, Winchester, Frederick County, Virginia, at 1 AM on 18 July, 1861, dated 17 July, 1861. Red Bud Run, on the Martinsburg Turnpike, one & a half miles north of Winchester, Frederick County, to Piedmont Station, Fauquier County, Virginia, 18-19 July, 1861: The 9th Alabama Infantry was ordered to proceed by the Millwood Turnpike to Piedmont Station, Fauquier County, Virginia, at 3 PM on 18 July, 1861, and arrived at Berry's Ferry, on the Shenandoah River, via Millwood, Clarke County, Virginia, at 12 AM on 19 July, 1861. The regiment was ordered across the Shenandoah River at Berry's Ferry, three and a half miles southeast of Millwood, Clarke County, Virginia, at 6 AM the same day and arrived at Piedmont Station via Ashby's Gap and Paris, Fauquier County, Virginia, at 1 PM on 19 July, 1861. Note: Brigadier General E K Smith, Confederate States Army, Fifth Brigade, Army of the Shenandoah, assumed command of the Fourth Brigade, Army of the Shenandoah, at Piedmont Station, Fauquier County, Virginia, in the morning on 21 July, 1861, and was ordered to proceed by the Manassas Gap Railroad to Manassas Junction, Prince William County, Virginia, at 5 AM the same day (See the Fourth Brigade, Army of the Shenandoah). Piedmont Station, Fauquier County, to Manassas Junction, Prince William County, Virginia, 22 July, 1861: The 9th Alabama Infantry arrived by the Manassas Gap Railroad at Camp Pickens, Manassas Junction, Prince William County, Virginia, at 10 AM on 22 July, 1861. Camp Pickens, Manassas Junction, Prince William County, Virginia, to F Lewis' Farm, a quarter of a mile southwest of Lewis' Ford, on the Bull Run River, 22 July, 1861: The 9th Alabama Infantry was ordered to F Lewis' Farm, a quarter of a mile southwest of Lewis' Ford, on the Bull Run River, at 12 PM on 22 July, 1861. Note: The 9th Alabama Infantry, Companies A and D, and the 38th Virginia Infantry, Company D, were stationed at Sudley Church, Sudley Springs, Prince William County, Virginia, between 23 July and 6 August, 1861 (See the 38th Virginia Infantry). F Lewis' Farm, a quarter of a mile southwest of Lewis' Ford, on the Bull Run River, to two miles northeast of Bristoe Station, & half a mile northeast of the Orange & Alexandria Railroad, Prince William County, Virginia, 8 & 10 August, 1861: The 9th Alabama Infantry was ordered two miles northeast of Bristoe Station, and half a mile northeast of the Orange & Alexandria Railroad, Prince William County, Virginia, on 8 and 10 August, 1861. Surrendered at Appomattox Courthouse, Appomattox County, Virginia, 9 April, 1865: The 9th Alabama Infantry surrendered at Appomattox Courthouse, Appomattox County, Virginia, on 9 April, 1865. Colonel C M Wilcox, 9th Alabama Infantry: Captain C M Wilcox, 7th United States Infantry, resigned on 8 June, 1861, and was appointed captain, artillery, Confederates States Army, on 16 March, 1861. Captain C M Wilcox, artillery, Confederates States Army, was appointed colonel, 9th Alabama Infantry, on 9 July, 1861. Brigadier General E K Smith, Confederate States Army, Fifth Brigade, Army of the Shenandoah: Captain E K Smith, 2nd United States Cavalry, Company B, surrendered at Camp Colorado, Jim Ned Creek, Texas, to Colonel H E McCulloch, Provisional Army of Texas, on 22 February, 1861, and proceeded to Fort Mason, one mile southwest of Comanche Creek, on Post Oak Hill, Mason County, Texas, on 26 February, 1861 (See the United States Battalion Cavalry). Captain E K Smith arrived at Fort Mason, one mile southwest of Comanche Creek, on Post Oak Hill, Mason County, Texas, on 1 March, 1861, and was appointed major, 2nd United States Cavalry, on 3 March, 1861. Major E K Smith, 2nd United States Cavalry, resigned the same day and was appointed major, artillery, Confederate States Army, on 1 April, 1861. He was appointed lieutenant colonel, cavalry, Confederate States Army, on 20 April, 1861, dated 16 March, 1861, and was ordered to Lynchburg, Campbell County, Virginia, by Special Orders No.34, Paragraph I, Adjutant & Inspector General's Office, Montgomery, Montgomery County, Alabama, on 24 April, 1861. Lieutenant Colonel E K Smith, cavalry, Confederate States Army, was ordered to proceed by the Orange & Alexandria Railroad to Harpers Ferry, Jefferson County, Virginia, on the 22 May, 1861, and was accompanied by Brigadier General J E Johnston, Confederate States Army, and Major W H C Whiting, corps engineers, Confederate States Army (See Engineers Army of the Shenandoah). He was appointed brigadier general, Confederates States Army, at Winchester, Frederick County, Virginia, on 17 June, 1861, and was assigned to command the Fifth Brigade, Army of the Shenandoah, on 15 July, 1861. Note: Major H L Clay, assistant adjutant general, Confederates States Army, was ordered to Lynchburg, Campbell County, Virginia, and assigned to mustering duty by Special Orders No.34, Paragraph II, Adjutant & Inspector General's Office, Montgomery, Montgomery County, Alabama, on 24 April, 1861. The 9th Alabama Infantry was assigned to the Fifth Brigade, Second Corps, Army of the Potomac, under the command of Senior Colonel J H Forney, 10th Alabama Infantry, on 25 September, 1861.